The Nintendo 3DS will rely on Wi-Fi connectivity to deliver free downloadable game content and demos, and AT&T will provide more than 10,000 Wi-Fi hotspots for just that purpose this summer. 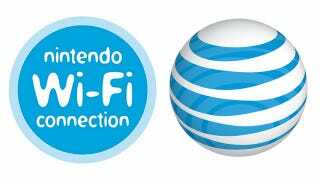 Revealed today during Nintendo's GDC 2011 keynote speech, Nintendo has joined with AT&T to provide thousands of new points of Wi-Fi contact for the Nintendo 3DS. Located at stores, restaurants, and malls across the country, 3DS systems will connect automatically to these hotspots, downloading new game content and allowing players to play their favorite games online wherever they go. Check out our liveblog for more news from Nintendo's 2011 GDC keynote.